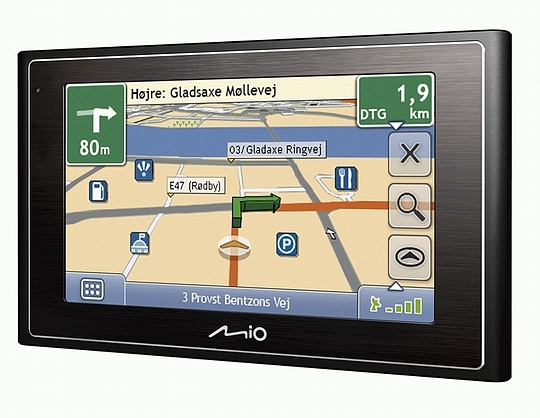 GPS System (Garmin or Mio) with 4.3" Screen Rental for Israel. Points of interest throughout Israel. We offer GPS devices with user interface and voice directions in your language. You can choose between English, French, Spanish, Russian and much more (23 different languages)! Our devices offer advanced navigation software in high quality 3D display. The system has a friendly and easy user interface, which allows you to easily search for any address or for points of intereste by categories, such as hotels, restaurants, museums, parks, and more. The rental kit also includes a car charger, car cradle and a user guide. All your rented items can be delivered, and wait for you at Ben-Gurion Airport when you land. You can pick up your items at one of our stores (in Jerusalem or Tel Aviv), or have them delivered straight to your Hotel or to any other address in Israel. Don’t settle with your mobile or pocket-pc navigation system. A designated system provides you with an easier to use, faster, more stable and better visual navigation.